Growth and getting ready for the future. For those of you that are just joining us or need a review, this is the story so far. 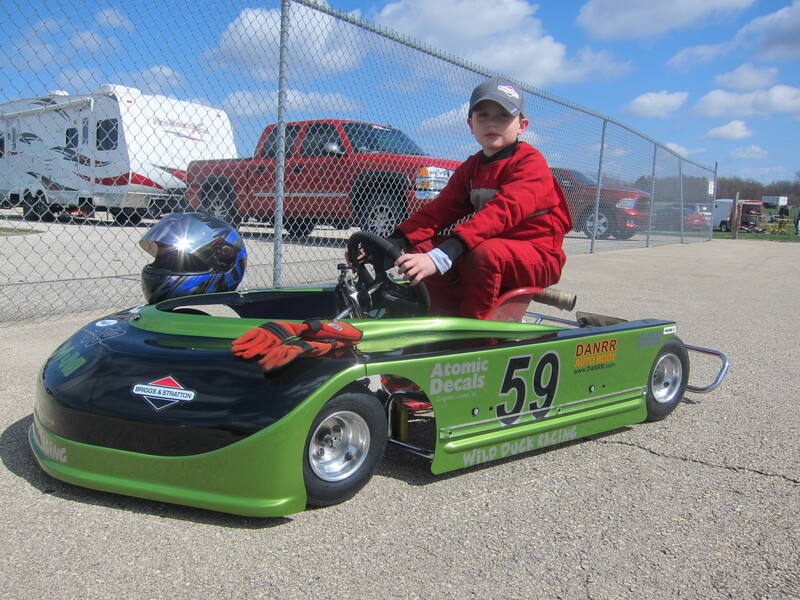 In late 2011 Jason got his first taste of kart racing with some seat time in a borrowed kart at Road America. 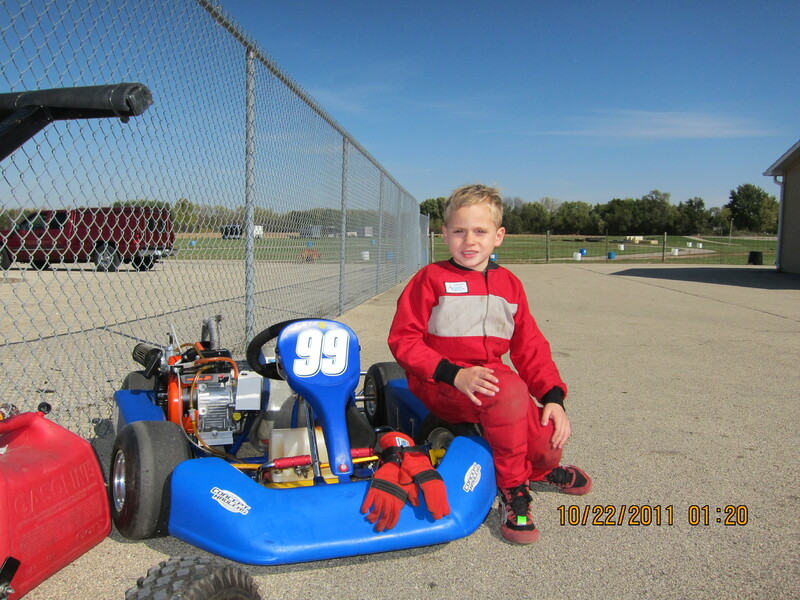 He really liked it, and got his first kart for Christmas, and soon was on the track learning to drive. We planned an easy 9 race season at Road America for 2012, but as the season progressed we added few more at other tracks. He raced in the area of 15 races and learned quickly, While he was not the fastest kid out there, he was definitely near the front. In 2013 he moved up to the LO206 sportsman class and joined Concept Haulers Motor Speedway for 14 races. He also added the Champion Enduro Series for 10 races on big race tracks in Illinois and Michigan. Jason and the team worked hard and he finished second in both series. The total race count for the season was 19. This year we have stepped up by joining a WKA regional series, the Mid-American Sprint series, consisting of five race weekends in Illinois and Wisconsin. Both Jason and crew are going to have to work very hard. Jason is going to have to learn four tracks that he has either never raced on, or only been on a few times. The crew is going to have to pay attention to track differences, listen to Jason’s feedback, and review lap times to get the kart into an ideal configuration before every race. As they say in many sports, “it is going to be a building year”. As part of our preparation for the next MASS race, we were at Badger Kart Club’s Briggs and Stratton Raceway Park a couple of weeks ago for a Saturday practice. 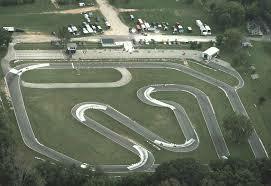 The practice on Saturday went very poorly; the kart was off and the track was very, very slippery. Jason spent most of the day sliding off the track and doing donuts in the grass. The crew spent most of the day attempting to figure out why, and how to improve the situation. We had planned to camp at the track overnight but the weather turned cold and rainy. With our exhaustion settling in fast, we opted to stay in hotel in Dousman for the night. This was an good decision, since there were high winds and rain overnight, and the next morning, the races were called off for rain. We still needed to get some practice tuning, so we decided to go to the first Badger points race the following weekend. Once we returned home the kart was unpacked and preparations were begun to get the kart ready for the next outing. We discovered that the front axles were not level, meaning the kart chassis was bent. The kart was taken apart and the chassis sent to the shop to get fixed. Our friends at Viking Karting Products got it on Monday night and straightened everything out. We picked up the chassis on Friday night and worked for a few hours to put it back together pack the truck for Sunday’s race. Saturday’s hours were already allocated to baseball and family activities. On Sunday we picked up Jason’s grandpa and had some “good luck” breakfast at the Greenwood Restaurant (a sponsor) before we headed off to the track. When we arrived, we learned that the day’s race format was qualifying. This is good because he needed to practice qualifying. But it was also bad because it meant we only got one practice session to set the kart up, making it even more difficult to accomplish our intended purpose of kart setup and practice. The morning’s practice went well but he was still a little off the pace. On the bright side, he stayed on the track lap after lap. I made a rear gear change for qualifying (video) and it made things worse. He qualified third but only a few hundredths of a second behind the second place qualifier. At this point, I needed to make quick decision on what to do next. After consulting with some of the other crews I made a radical change, changing out the front gear from the original 18 to a 15. This takes the gear ratio from near 3:1 to closer to 4:1. This change gave him less power (slower exits) in the corners but a higher top end speed. The pre-feature (video) went much better. His lap times were better and he finished second after a rather bumpy set of opening laps and avoiding the other drivers as they spun their karts in front of him. At one point Jason clipped a another kart sending some bumper parts into the air, but he remained un-phased and determined to finish with fast clean laps. We had a brief time before the feature to contemplate the last opportunity to make setup changes. With some deliberation and discussion with Jason, we changed the rear gear again to improve speed and front geometry to try to improve cornering. Jason started on the outside of the first row in second. At the green flag (video) the pole driver pulled away and Jason started to pull away from third. Twelve laps later, Jason gave his three fist pumps as he crossed the finish line in second for the day. Hopefully, his hard work will pay off this weekend when he races the second Mid-American Sprint Series event at Badger. As a sports parent you want your child to win. But even after two years, Jason has so much to learn to become a really proficient and winning driver. It is important keep expectations in perspective. The only thing you can hope for is continued improvement and ride the ups and downs of competition. Yes, there was some frustrating practice, but he learned what a bad chassis feels like. At the next race he now has a better understanding of what’s wrong and what he needs to ask for to get it right. Thanks Brian at VPK, Badger Kart Club, Marty Murray, Pete Johnson, Regan at 4 Cycle Central, my dad, and Karen.